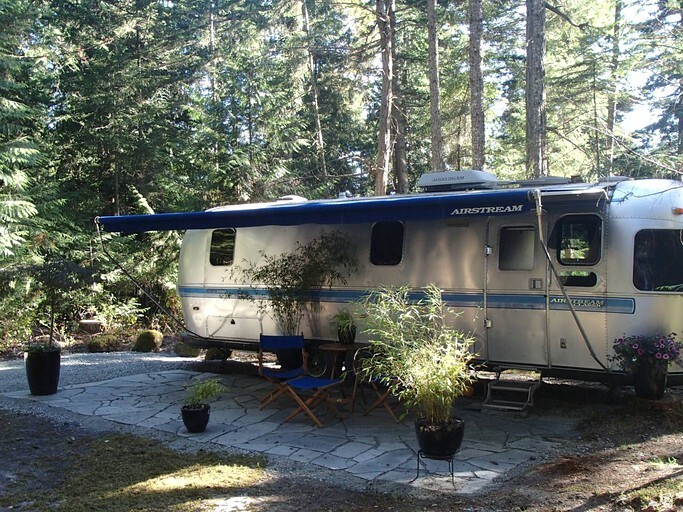 This wonderfully romantic caravan is nestled away near shimmering waters and the trails of Welbury Bay Park on Salt Spring Island, British Columbia, and can comfortably accommodate two guests for a glamping getaway. This one-bedroom caravan is the perfect romantic escape for glampers with one bedroom that hosts a plush queen-size bed adorned with comfy bedding that the hosts provide. 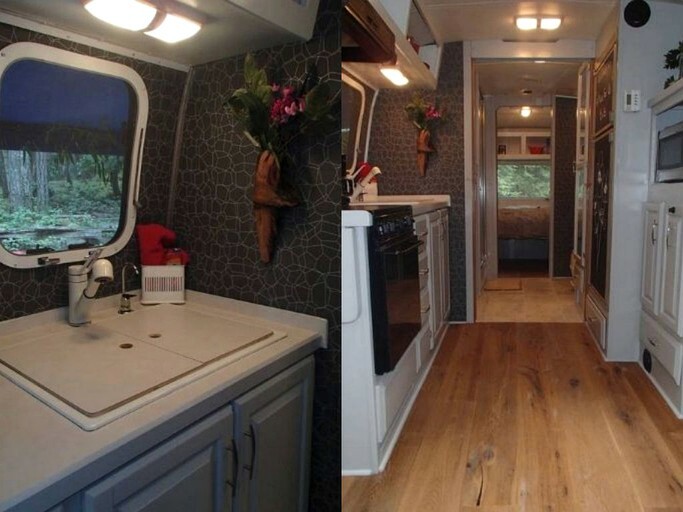 The full bathroom comes with a toilet, a sink, and a shower. Towels are provided. 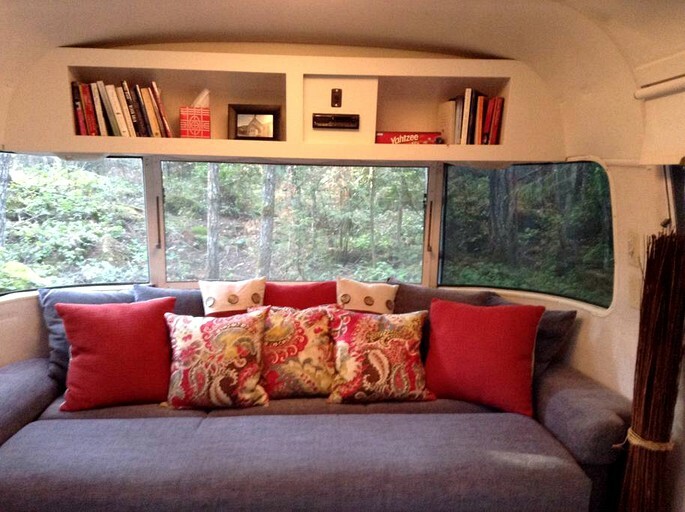 As guests meander on through the caravan they will find a cozy sofa at the back where they can kick their shoes off after a long day exploring and simply relax. There is a two-seater dining table sat just in front of the sofa leading towards the kitchen. The fully-equipped kitchen comes with all the basic necessities including an oven, a stove, a microwave, a fridge, crockery, cutlery, pots, and pans. 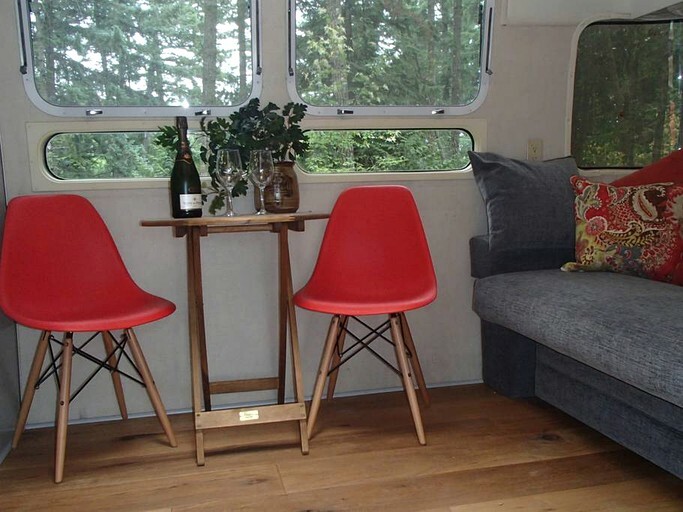 This lovely caravan comes with a number of amenities designed to create the perfect romantic setting amid the forest trees. These amenities include central heating, a laptop friendly workspace, linen, towels, soap, a fully-equipped kitchen, a coffee maker, cooking basics, and Wi-Fi to keep guests connected. 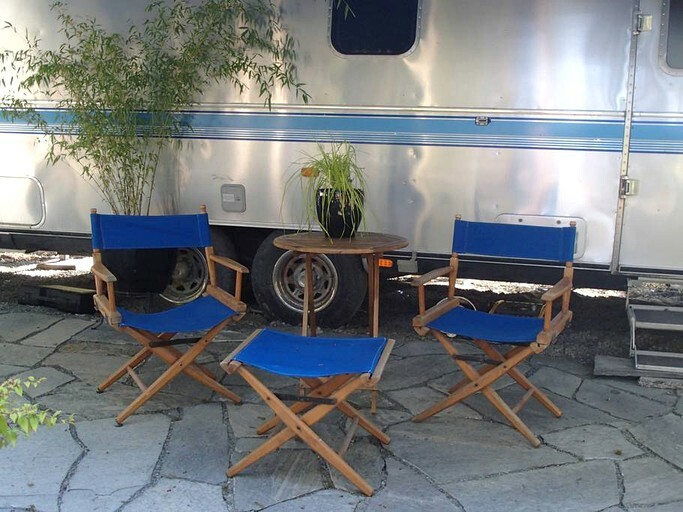 Outside, glampers will find a beautiful outdoor patio leading out into the garden, patio furniture, and an outdoor grill for those nights spent cooking beneath the stars. 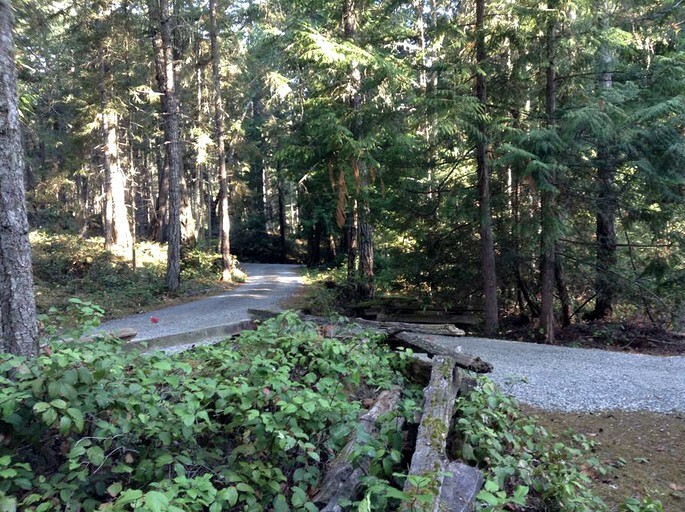 Salt Spring Island is a nature lover’s paradise and has a variety of fun and wholesome activities on offer. Silver Spoon Fishing Charters takes visitors to the best spots where glampers can test their angling skills out with some deep sea fishing. There are also a number of companies that hire out kayaks and sailing boats, so guests can explore the shoreline from traipse across the surface of the ocean. At Ruckle Provincial Park and Mount Maxwell Provincial Park, guests can head out on some great walking trails and admire wonderful views of the water as well as head up to a viewpoint for a fabulous view of the island and the shoreline while catching a glimpse of a number of animals meandering along the same paths. There are also farmer's markets on the island, such as Salt Spring Tuesday Farmer's Market, and for anyone who enjoys a glass of wine, there are a couple of wineries as well. Many companies also offer kayak and sailboat tours, as well as fishing, diving, and golfing options.